The other two of three concerts booked at the Armory around the Final Four tournament next month, the Chainmsokers and Jonas Brothers will play the newly renovated historic venue in downtown Minneapolis on Friday, April 5, and Saturday, April 6, respectively, with a limited number of free tickets available to the public. As is the case with the April 7 Katy Perry show announced last week as part of the March Madness Music Series, fans have to register for a chance at tickets to the gig at ncaa.com/final-four or through that night’s sponsor, which is AT&T for the Chainsmokers and Coca-Cola for the Jonases. Tickets will not be sold like a regular concert. The March Madness Music Series -- co-organized with the local Final Four host committee -- is typically held as giant outdoor festivals with 40,000-plus fans in other host cities. In Minneapolis, they are being squeezed into the 8,400-person Armory, at 500 S. 6th St., which reopened last year in time for similar Super Bowl-related parties. Considering that prior cities hosted such acts as Aerosmith, Maroon 5, Keith Urban, Jason Aldean and Imagine Dragons for these concerts, it looks like the Minneapolis lineup was also downsized in star power with these latest two concert announcements. The production duo behind the hits "Closer" with Halsey and "Something More Like This" with Chris Martin -- those guest vocalists don't tour with them -- the Chainsmokers were also part of the Super Bowl party lineup at Mystic Lake Casino last year, which was moved last-minute from a giant tent to an indoor conference center after slow ticket sales. 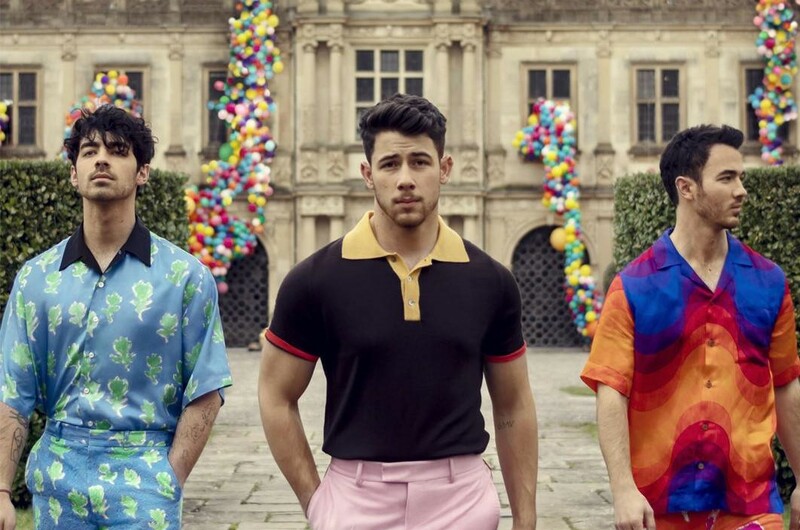 As for the Jonas Bros, the siblings have been on hiatus for five years but dropped a new single last month, "Sucker," and are readying a new album. Representatives from the Final Four host committee declined to say how many tickets to each of these Armory shows will be available to the public after passes are also doled out to VIPs and ticketholders for the basketball games, which take place that Saturday and Monday at the nearby U.S. Bank Stadium. The Jonas show is the one Armory concert happening the same night as a game. Unlike the Super Bowl, there won’t be the same swarm of high-buck parties elsewhere around the Twin Cities when the NCAA men’s basketball tournament arrives in town. First Avenue is blocked off for unnamed private parties two of those nights, but word of other noteworthy events has yet to surface. The Final Four committee is also hosting the free Tip-Off Tailgate Party on Nicollet Mall and Fan Fest at the Minneapolis Convention Center from April 5-8.